There is considerable debate regarding the implications of technological change for economic policy and the appropriate policies and programs regarding research, innovation, and the commercialization of new technology. This debate has intensified as policy makers have focused on new sources of innovation and growth in light of the continuing economic downturn and the associated focus on enhancing employment and growth. 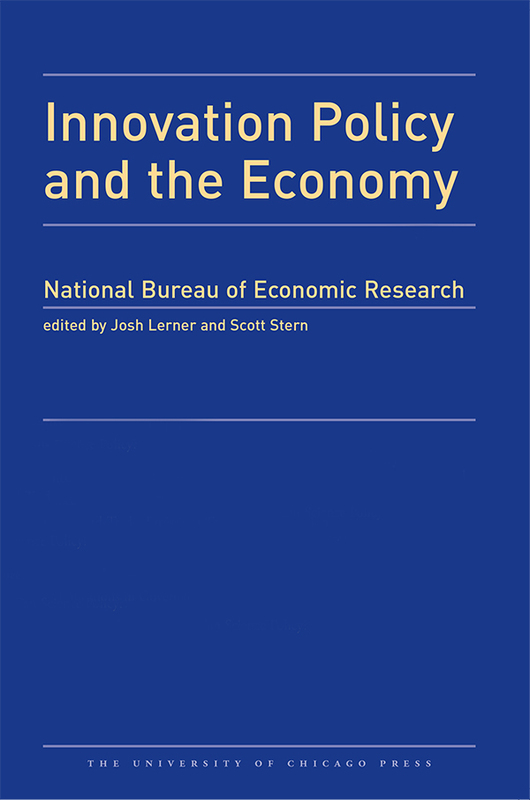 Innovation Policy and the Economy provides an ongoing forum for the presentation of research on the interactions among public policy, the innovation process, and the economy. Papers in this volume include a consideration of the complex set of innovation-policy challenges that arise in managing publicly funded research, an examination of the increasingly visible role of philanthropic funding for science, a look at the increasingly contentious issue of public funding of growth-oriented entrepreneurship, and two papers that turn their attention to the evaluation of recent federal policy changes as the result of the America Invents Act and the America Competes Act. 2. Is Financial Innovation Good for the Economy? 4. Non-compete Agreements: Barriers to Entry…and Exit?